Kew Royal Botanical Gardens are a UNESCO World Heritage Site and one of the most popular visitor attractions in London. 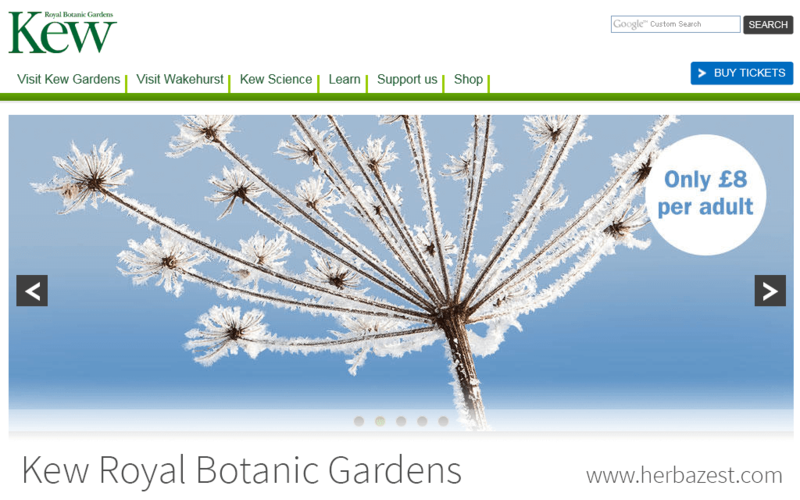 Their official website offers visitors practical information, such as opening times and prices, in order to help plan their visit, but is also provides plenty of general information on the charity's conservation and botanical work. The main objective of Kew Royal Botanical Gardens is to promote the values of sustainability and protecting the environment in order to safeguard plant life for the future. Over the past 250 years, the organization's focus has been on researching botany and increasing the public's awareness of various plants and fungus, trying to save species from extinction. Blackthorn, Kew Science, Plants of the World Online, Prunus spinosa L.